The Phil M. Ferguson Structural Engineering Laboratory consists of a structural test facility and a wide range of loading equipment enabling large-scale studies of structural behavior. The Ferguson Laboratory is one of the largest structural research facilities in the world. The Ferguson Laboratory, located at the Pickle Research Campus of The University of Texas at Austin is named after Professor Phil M. Ferguson, who was an inspirational teacher and a meticulous researcher. 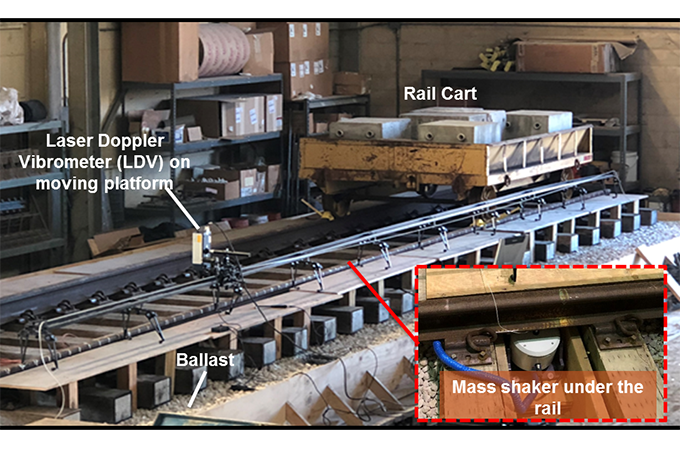 The goal of this project is to design, implement and validate a novel diagnostic technology for enhancing rail integrity inspections.